Nethaneel Mitchell-Blake is used to speed. As one of the fastest men on the planet, it’s all part of the day job. However, he does admit to being ever so slightly taken aback by the pace of change in his life after what has been a year to remember. When he stepped on to the track at last month’s Great North CityGames, he was introduced as a world champion – while the animated and generous reaction of the watching crowd was also indicative of a growing profile for a man who had not been widely known on these shores before this remarkable summer. 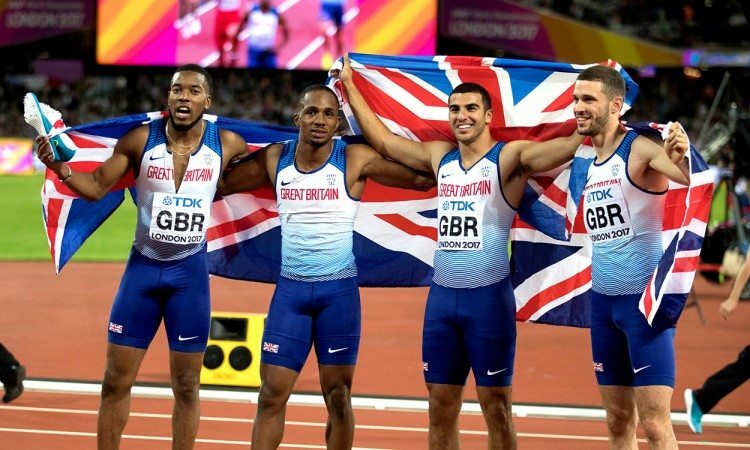 Whatever happens now, Mitchell Blake’s name – along with that of his fellow team-mates CJ Ujah, Adam Gemili and Danny Talbot – has been indelibly inked into the history books following the 4x100m relay gold-winning performance which he anchored and brought the London Stadium crowd to its feet. But this, you sense, could just be the beginning, particularly given the rapid learning curve the 23-year-old has experienced over the past couple of years. “It’s life-changing in a good way, first and foremost,” says Mitchell-Blake – only the second Briton in history behind Gemili to have run sub-10 seconds for 100m and sub-20 for 200m – of the world championships afterglow. “After we’d won the gold and we had all these obligations I said to myself ‘how does Usain Bolt do this every day?’. That’s his life, every day! I’ve got even more respect for him now. It was already at the top but now it’s ‘hey man, hats off to you’. Mitchell-Blake feels far better placed now to take those opportunities, too, having experienced both sides of the sporting coin in a short space of time. “The last two years have really helped me in the sport and really helped me to mature,” he says. “Last year, for the Olympics, I was injured. Within roughly a two-and-half-month span, I injured myself about three times and all on the same hamstring. I ran 19.95 (second on the all-time UK list) last year and then I had to miss the Olympic trials, I had to miss the Anniversary Games and I got hurt in the holding camp – I dropped a 20kg weight on my big toe (he didn’t get past the 200m semi-finals in Rio). So now, after this year’s success, I’ve experienced both ends of the spectrum and I can only learn from it. So what has been the biggest change to bring about such impressive improvements? 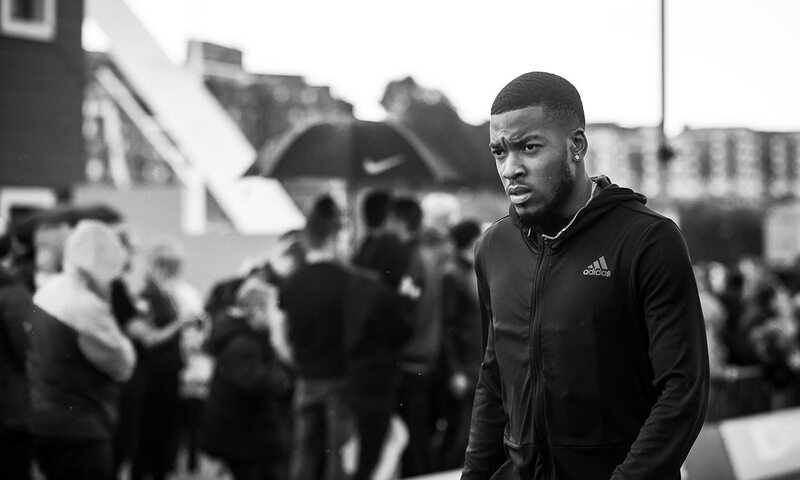 “My seriousness towards the sport,” says Mitchell-Blake, who ran 9.99 for 100m in Columbia back in May – a performance which proved pivotal. “If you want to truly become a staple in the sport you have to live that life – you have to be dedicated to the craft. “Now, I’ve just graduated and it’s not easy being at university – I was juggling final papers and exams with training and you want to give an effort to everything. “There are sacrifices you have to make in the sport and I believe life is about sacrifices, too. You can’t partake in everything your peers may partake in and that’s because your vision is different – you’re an athlete. The Commonwealth Games and European Championships will be at the top of Mitchell-Blake’s target list in 2018, while he will wait and see how his body responds to training following this lengthy year of racing before deciding whether or not to aim for the World Indoor Championships, too. Thoughts are also already turning to the next IAAF World Championships, in Doha in 2019. By then, the already shifting landscape of world sprinting may well look very different. “It’s been labelled as a changing of the guard in the sport,” says Mitchell-Blake in reference to Bolt’s retirement. “I’m not disregarding anybody because Justin Gatlin’s still around, Asafa Powell’s still around but there’s also a new age coming through. “With the way they performed in the world championships themselves, getting medals in the so-called blue riband events, gives me confidence that I can compete with the best of them, because I am competing with the best of them.